A matte, but sheer, lip finish…well this is interesting! When we think of a matte lip product, we generally think of full-on opacity and coverage. So the idea of a sheer matte lip cream was intriguing, to say the least. 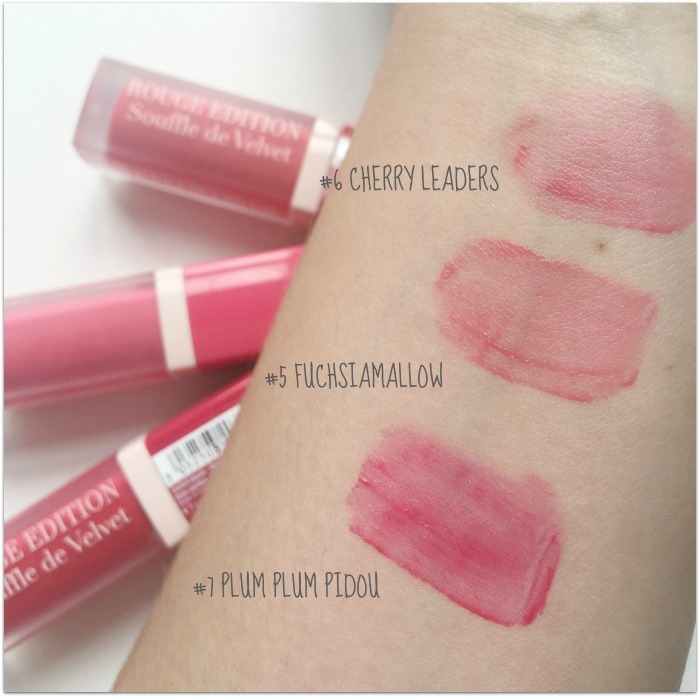 And as a diehard fan of the original Bourjois Rouge Edition Velvet liquid lippies, I couldn’t wait to try the latest incarnation: an innovative hybrid promising the hydration and semi-transparency of a balm, with the longevity of a matte finish. In looks alone, the newbies, Bourjois Rouge Edition Souffle de Velvet, are very similar to their bolder, punchier sisters: the packaging and applicator is the same - except the Souffles are frosted - and they have the same creamy formula, which makes them comfortable to apply and wear. Hate the way a regular matte product dries out your lips? You’ll like these, so: the formula promises to hydrate for the length of the wear-time, which is up to 10 hours. Like any matte lipstick, though, my lips still need to be in decent nick to sport them. There are 8 shades available, all with a light, velvety texture, and there’s not a huge amount of variation between the shades. Most could be described as either coral or pink, so you probably don’t need to buy ‘em all. I'm wearing one of each in the first photo above. Bourjois call them ‘lip blush effect shades’, and that’s a great way to describe them: you get the softest veil of colour, and a bare-lip feel. 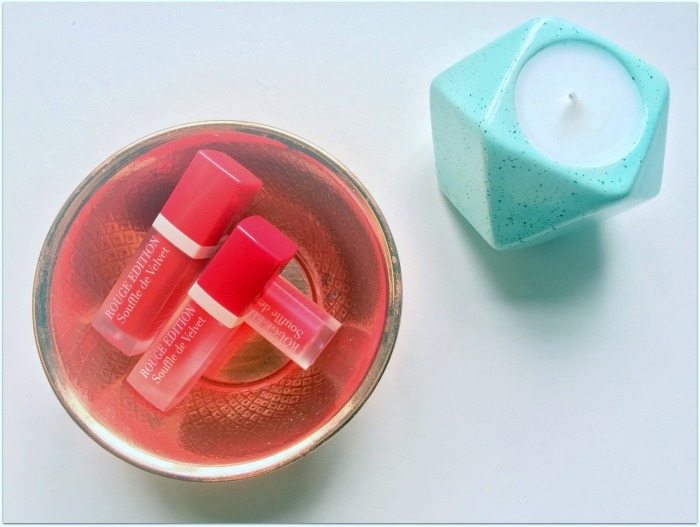 If you want just a little somethin’-somethin’ on your lips, hate the stickiness of gloss and don’t want the hassle of topping up your colour throughout the day, then these are perfect. One word of warning: they don't layer well; you can’t lash on a couple of coats without things looking a bit messy. There's no point, anyway: if you want more intense colour, this isn't the product to reach for. Lasting power is good and they actually reapply fine, as long as you leave a decent length of time (I'm talking hours) between applications. 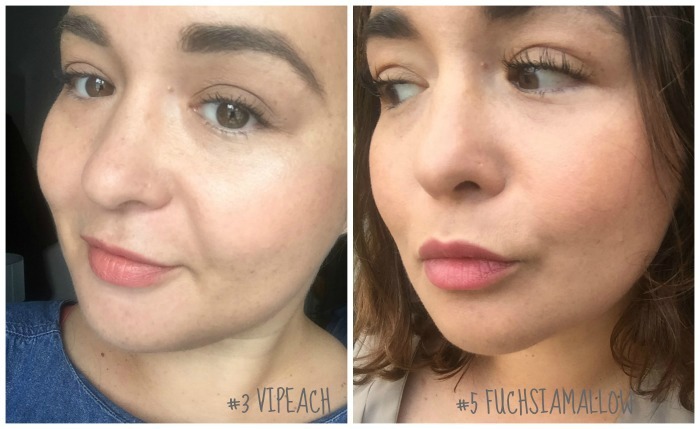 Worn with some BB cream (or the latest Bourjois base!) and a slick of cream blush, I’ve been reaching for these as an easy, casual weekend pick, but they'll also work for autumn/winter's smokier eye looks. I like them, though tbh, and harsh as it sounds, I’m much more into their sister.